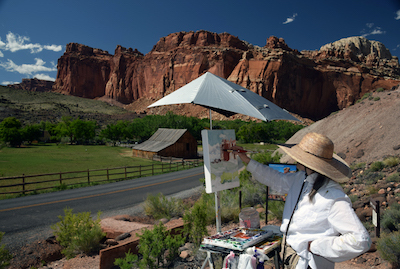 Each year watercolorists converge at the Entrada Institute to create Plein air art. 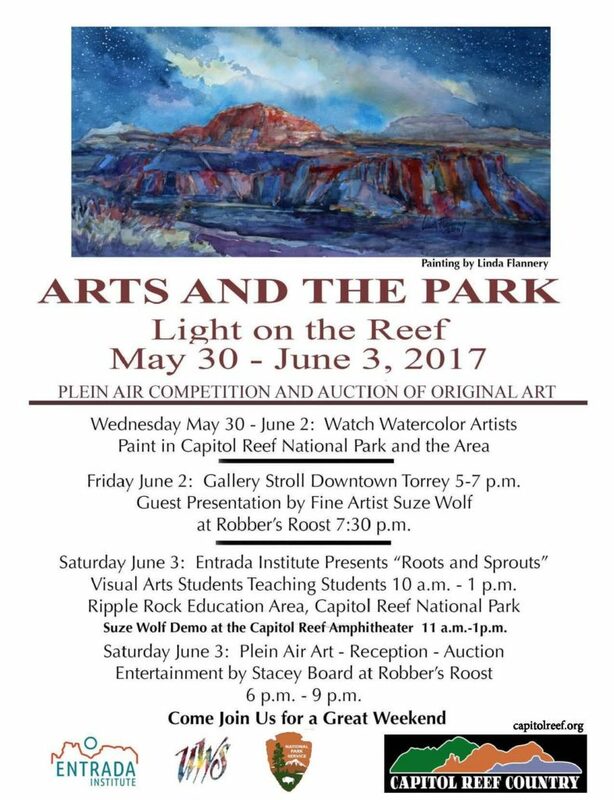 Locals enjoy watching artists at work, participating in presentations, and enjoying an Art Auction. 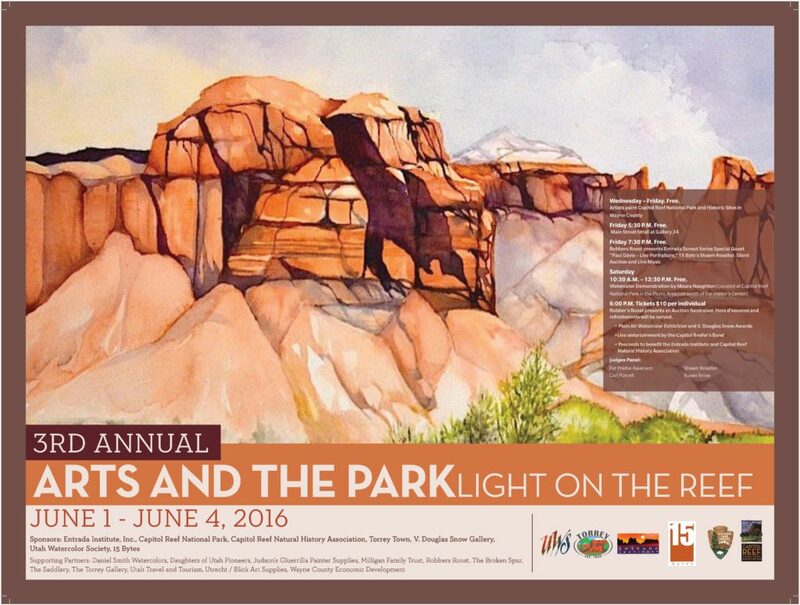 Watch 30 artists in action as they paint in various locations throughout Capitol Reef National Park. For the latest updates, go to the Arts and the Park Facebook page. This third annual event was held June 1-4th, 2016. Check out the 2016 events. For the latest information, LIKE the Facebook page. 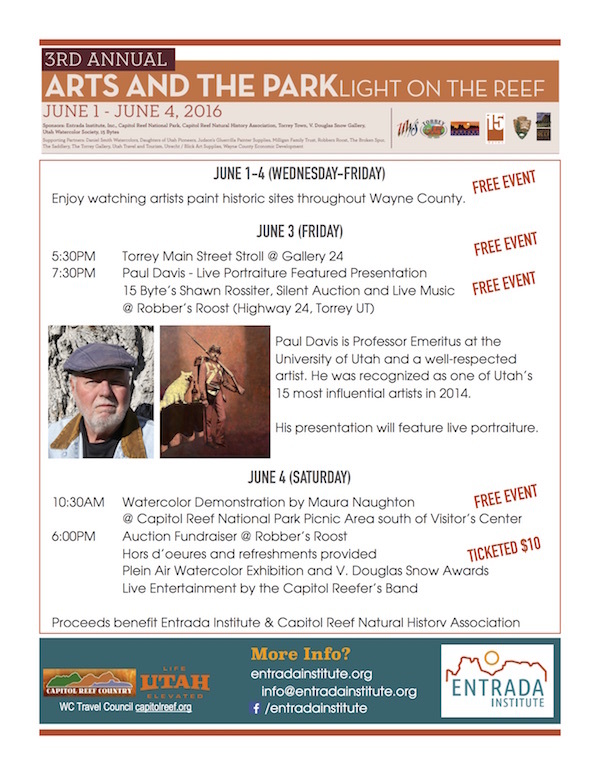 “The 2nd Annual Arts and the Park” is a new partnership presented by the Entrada Institute, Inc., in partnership with Capitol Reef National Park, Capitol Reef Natural History Association, Gallery 24, Robbers Roost, The Torrey Gallery, Torrey Town, Utah Travel Council, Utah Water Color Society, Utrecht/Blick Art Supplies, Utah Arts and Museums; and youth arts educators Victoria Lyons, Michael Moonbird and Jen Lopez from Bad Dog Arts. 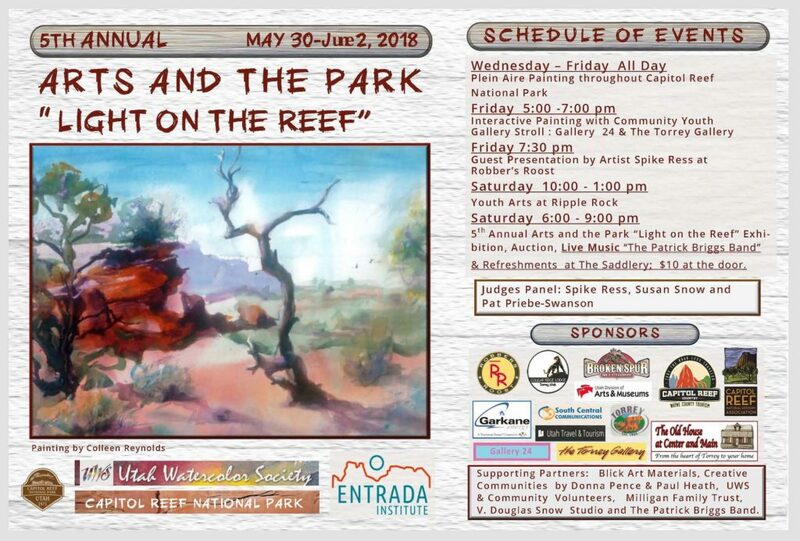 Arts and the Park “Light on Reef” is intended to be an experiential plein air event for the whole family; it celebrates first steps into arts education and natural sciences while celebrating life-long learning and the creative spirit of the people and the place that is the Colorado Plateau. To learn more, download the entire press release. 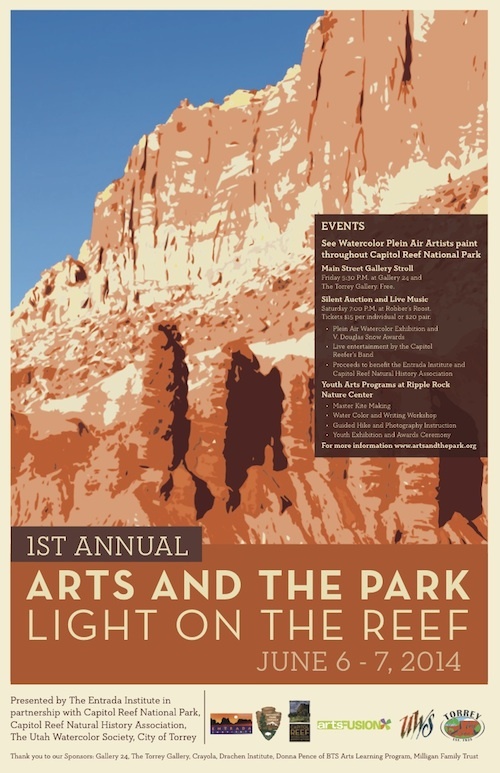 Read a transcript of a talk given by Capitol Reef National Park Superintendent Leah McGinnis on the topic of the role of the Arts in National Parks. 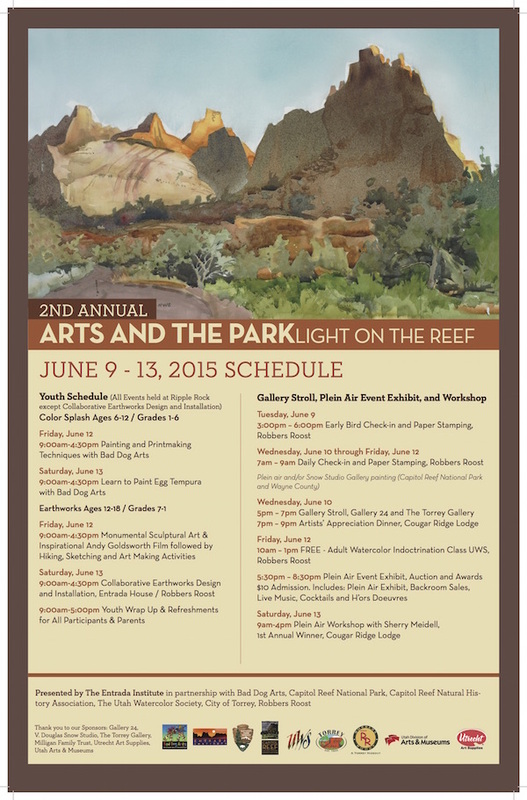 To learn more about this event, go to the Arts and the Park Website. Also, LIKE the Facebook page.